Surface Technology > Blog > Why use copper plating? Copper plating offers a variety of benefits due to its malleability, conductivity, corrosion resistance, lubricious and anti-bacterial qualities. Copper plating can also be used as part of a dual system thanks to its compatibility with additional plating and coating processes. A dual approach enables a surface to benefit from the characteristics of two differing coating/plating systems. At Surface Technology, for example, we regularly use copper together with nickel plating to provide a high wear and corrosion resistant surface. 1. 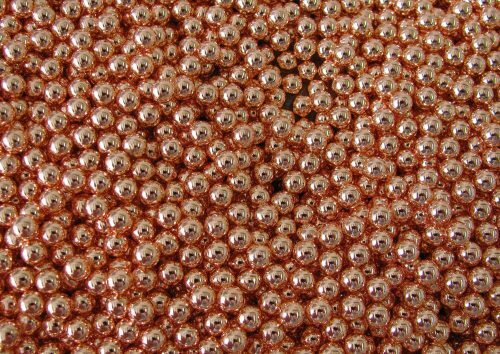 Conductivity: Copper is a highly conductive material that is widely used in electrical applications. Only silver is a more effective metal at conducting electricity. 2. Malleability: As a soft metal, copper has an inherent flexibility which means it is able to bend and maintain adhesion. 3. Adhesion: Through electroplating copper achieves a smooth, even coverage on to ferrous and non-ferrous base metals; providing an excellent undercoat for additional coating and plating finishes. This means copper plated components are able to benefit from the dual characteristics of copper and the additional processes that’s layered on top of the plating; nickel, tin, aluminium for example. 4. Corrosion resistance: Copper provides a good level of corrosion resistance; however, it is not as effective at resisting corrosion as harder metals like nickel. For components working in highly corrosive environments we regularly complement copper with nickel plating. 5. Cost effective: Copper is less expensive and more readily available than noble metals such as platinum, gold and silver. At Surface Technology we also offer Silver plating as a service but our technical team look to understand the requirements of the item that is being plated and will recommend Copper as a more cost effective solution if it meets requirements. Require copper plating services? We offer copper plating services at our Leeds copper plating and East Kilbride copper plating facilities, along with silver and electroless nickel plating. We are also able to selectively plate copper using the SIFCO Process of selective plating. Register below for our monthly email and stay up-to-date with the latest surface engineering white papers, case studies and innovation news.